Ankle syndesmosis injuries following forced ankle dorsiflexion and lateral rotation of the foot require very specific management and rehabilitation to achieve great treatment outcomes. If you approach management of ankle syndesmosis injuries in the same manner as a lateral ankle ligament injury it will likely result in long term pain and dysfunction for your patients. In this new Physio Edge podcast, you will discover how to manage different grades of ASI. 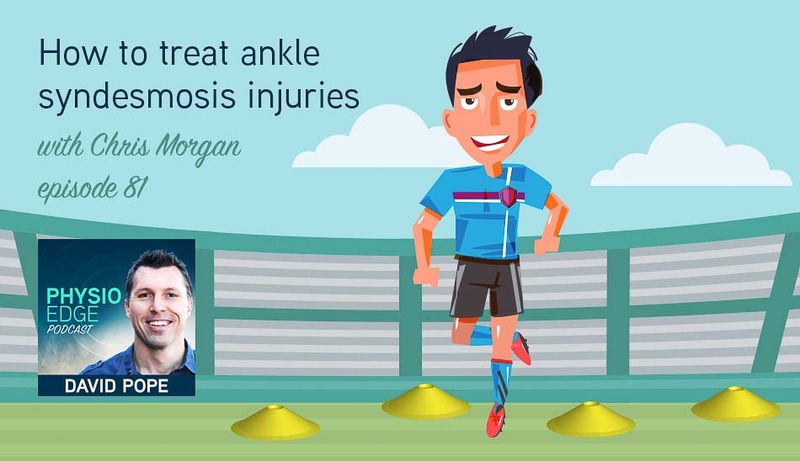 To accurately grade your patients ASI and prescribe the most appropriate rehab I strongly recommend listening to Physio Edge podcast episode 80 – How to assess ankle syndesmosis injuries with Chris Morgan prior to this podcast.